The Revolutionary period between 1770 and 1800 was not a fun time to be living in New York City and the surrounding area. There were several of my descendants living in this area that had become successful with land acquisition and with trading opportunities. The Revolution would change all that. The need for the break from England as necessary was not an easy decision for New Yorkers to make. Some became progressively influential. This included John Jay, who was a young lawyer in New York when the Revolution started. There were some who strongly felt that ties with Great Britain should not be broken, but mended. This was an older group who came reluctantly to support the Revolution. This included property owner, The Lord of the Manor, Robert Livingston. Then there were those who stayed loyal to the King. This was Frederick Phillips, Lord of Phillips Manor. Some joined the militias and fought in the Revolution. After the revolution, debate was not over. Freedom from the King meant a new Government needed to be formed. The debate between State rights and new Federal rights was intense. 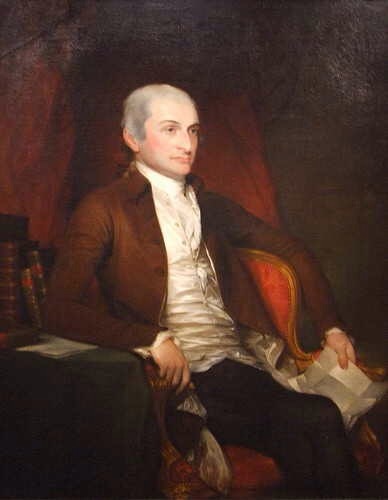 John Jay, became a strong Federalist, in favor of a strong federal government. Part of the debate was the right to vote. Jefferson felt that one man (Not WOMAN) one vote should rule and Hamilton felt that only men of property should be allowed to vote and rule. How should they govern? How could they get balance between the States? The result was a revised Constitution but this needed to be ratified by the States. New York was very split by this: a majority wished to keep the sovernity of the State. In Poughkeepsie a group met designated to make the decision. Jay was part of this and the result was ratification of the new Constitution by two or three votes. In the emerging Democracy there was conflict of ideas for our new country. This influenced Jays and Livingstons and Clarksons and Van Courtlands and Phillipps and Van Rensselaer and Van Schuyler all my relatives. I will try and tell what happened to these several families before, during and after the Revolution. It includes property: Jay’s mother and the Van Courtlandt Manor, the rest of the Livingstons and Livingston Manor, cousin Frederick Philippse and Phillips Manor, Killean Van Rensselaer and Rensselaerwick, Philip Van Schuyler and Schuyler land. The shift in control from property and wealth. Who should rule the country? It was the end of the influence of the Lords of the Manor. It includes merchants and trade: Several of my descendants that lived in New York were successful traders. For them the Revolution and loss of New York to the British meant not only loss of trade, but loss of homes. John Jay’s father and mother were forced to leave their home in Rye and take refuge in safer area. No longer were the old trade routes safe. It includes the story between these families. Pre revolutionary New York was small and there were many intermarriages between these families. Livingstons married Van Schuylers and Jays, Van Schuylers married Van Rensselaers, van Cortlndts married Jays, Van Schuyler married a Van Rensselaer and then when he died married a Livingston. Bayards intermarried as did Van Voorhees. These marriages all tied these families and their lands tighter together. It includes the political changes. Tories vs Patriots. Federalists vs non Federalists, the new government, the need for a new constitution, the start of our Democracy. It also includes how much Dutch blood we have! All the Vans! There were at least five families we are related to that controlled large tracts of land before the Revolution from Great Britain. The Livingston Family and Livingston Manor on the Hudson, (1,200,000acres ) The Philipse Family and Philipse Manor in Westchester, (125,000acres ) The Van Courtlandt Family and Van Courtlandt Manor in Yonkers, (85,000acres), The Van Rensselaer Family and Rensselaerwyck in Albany. (750,000acres) and The Van Schuyler Family and land also in Albany (100,000acres) All were started either from Patroonships from the Royal Dutch Governor or as Royal Land Grants, Charters of the King. The land on these Manors was to be owned and leased by the Lord of the Manor or if Dutch, the Patroon. This feudal system of land ownership was to be continued, oldest son to oldest son. The Manors and Patroonships did not survive. Soon after the end of the Revolution they ended. The feudal system could not exist with our new Democratic principles of freedom. Robert Livingston (1654-1728), my 6th GGrandfather, was the first Lord of the Manor. He was also an example of our Dutch background. His father, a Church of England minister had been banned from his home country of Scotland for not recognizing the Presbyterian faith in Scotland. He took his family which included his young son Robert to Holland, where Robert learned to speak the Dutch language. Robert ended up coming to the Colonies, and became successful in part because of his ability to understand and speak Dutch. He was granted by Royal Charter of Great Britain in 1715 160,000 acres along the Hudson in what is now Columbia County, NY. This created the manor and Lordship of Livingston. He married Alida Schuyler, the widow of another major land owner, Nicholas Van Rensselaer, and daughter of General Philip Schuyler, owner of a large amount of Albany property. This brought together Livingston, Van Rensselaer, and Schuyler families and a lot of property. She was a very strong woman. She had one son with Nicholas and had nine children with Robert. Since Robert was often in NYC, she was responsible for managing the Livingston and Van Rensselaer property. We have a lot of Dutch blood! Their oldest son Philip (1686-1749) became the second Lord of the Manor after his father’s death in 1728. 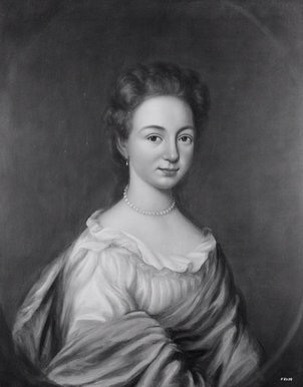 In 1708 he married Catharina Van Brugh, the daughter of a former Albany mayor and they would live in Albany. They had 12 children and it was one of their sons that had impact on our family. 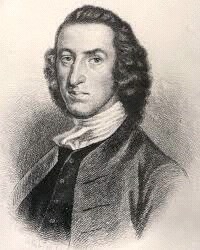 Phillips son, William, inherited property in New Jersey and became Governor of New Jersey during the Revolutionary time. He was a strong believer that separation with Great Britain was needed and influenced a young lawyer who was courting his daughter, Sarah of this. This of course was John Jay who married Sarah. 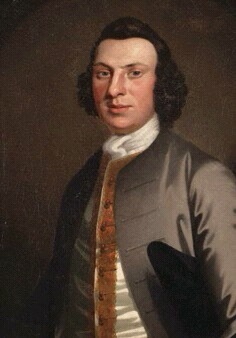 Philips oldest son, Robert (1708-1790) inherited Livingston Manor at the time of his father’s death. He had married Maria Thong in 1731 and they had thirteen children. He became the third and last Lord of the Manor. In 1766, after the death of his wife, he married Gertrude Van Rensselaer Schuyler. 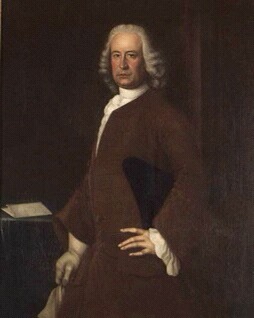 Robert Livingston was Lord of the Manor during the Revolution. When he became Lord 1,000,000 acres of the Catskills mountains was added to the Manor property. He hoped for a compromise with England and was modestly supportive of the war of separation. He did supply the Army with important iron that was mined from his land holdings. His tenant farmers stayed as loyalists to the crown for most of the Revolution. His children were more supportive serving in the war effort. After the revolution ended the power status of the Manors also ended. At the time of his death Livingston Manor was divided unto 5 parts for his sons and were subsequently divided further. The Lord of the Manor was no more. 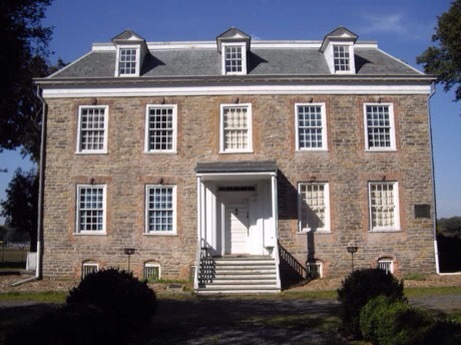 My second Cousin Frederick Philipse III (1710-1786) was the third and last Lord of Philipse Manor. He had inherited the estate from his father at the time of his father’s death in 1751. This was a 125,000 acre estate that comprised much of Southern Westchester County. Frederick was a strong Loyalist and never wavered during the Revolution. He stayed in New York which was under British control during the war and then left for England in 1783 when the English left New York. All of his lands were confiscated by the state and sold off. Several thousand acres were sold to his tenant farmers. The property was decided into 200 parcels. 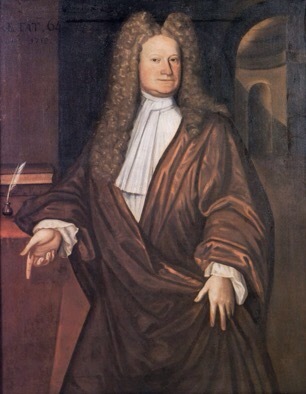 Henry Beekman a Dutch NY businessman bought several of the parcels. Frederick and his family continued to live in Great Britain. He died in 1786 and was buried in Chester Cathedral in Chester, England. The taking of Loyalist land was a common practice and the sale of the land provided income to the state. The total of land lost by Frederick was 120,000 acres! 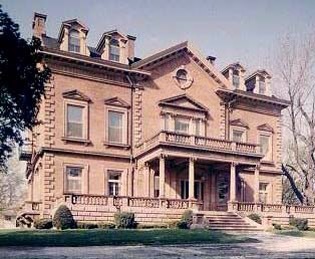 My 5th great grandfather, Frederick Van Cortlandt (more Dutch) bought about a thousand acres extending from the upper Bronx into Westchester County from cousin Frederick PHILLIPSE. He built a house in Georgian style but died before it was finished. He was married to my fifth great Aunt, Francina Jay who continued to live there until her death in 1780. The house was then inherited by their oldest son James (1727-1787) who was there during the Revolution. It was used as a grain plantation and grist mill. Unlike the other properties it was not rented out for farming. During the Revolution the house stood at the border between English NYC protection and the new countries holding, which was full of robbers, etc. George Washington stayed there in 1776 to plan the battle for White Plains and then in 1781 with the French commander Rochambeau where he tricked the British into thinking he was staying there while he fled to the North. The British used the house during the war and at wars end it was apparently in very bad repair. There was a period that no family member was living there. James had no children. He left the house and property to be divided after his wife died, between his two brothers, Augustus and Fredrick and his sister Eva White. The house and property were then sold to the City of New York in 1889 and have been part of the park system since then. The house is run by the Colonial Dames as a museum. Frederick sister was my fifth GreatGrandmother Mary Van Cortlandt who married Peter Jay and was the mother of fourth GreatGrandfather John Jay. 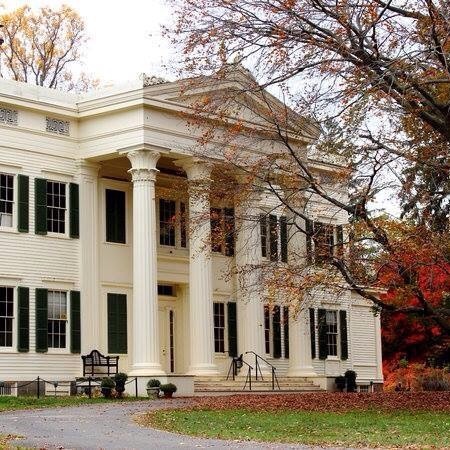 It was property that John Jay was given by her in Bedford NY that was the site on which he built his retirement home. Killian married Maria Van Cortlandt also my first cousin 6 times removed. She was a daughter of Stephanus Van Cortland and Gertrude Schuyler. They had 7 children that lived to adulthood. The Van Rensselaer Patroonships lasted until the early 1800, when it was divided and ended. The concept of a large tract of land under the perpetual control of one family with its income coming from rental of tracts of land and tax of 10% of produce could not continue in a country dedicated to freedom of individuals. There were two men who came from Holland and settled in the Albany area and by their success as traders (fur) purchased a large amount of land in the Albany area. They founded a trading community named Beverwyck. It was descendants from Philip Pieterse Schuyler that bred into my Van Rensselaer, Van Cortlandt, and Livingston family. My 2nd Cousin 6 times removed was Philip Schuyler, born 1733. He married cousin Catherine Van Rensselaer and they had 15 children!! 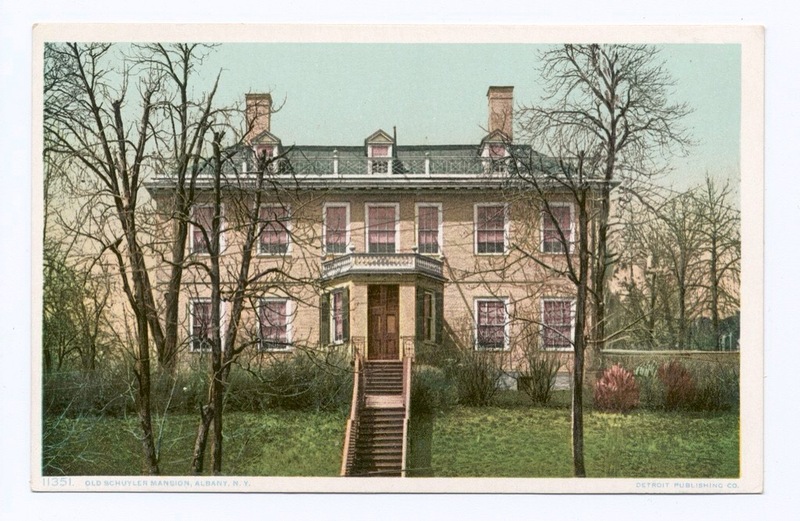 He inherited most of the Van Schuyler property and before the Revolution built the Van Schuyler Mansion. He became wealthy as a trader of material from the Albany area that he shipped down the Hudson to New York. He also became supportive of the Revolution from Great Britain, and served as General during the war mostly in the Albany area. After the war he served as one of the first United States Senators to serve from New York. He and his wife, Catherine Van Rensselaer, had nine children who were influential in the next generation. Their second daughter married Alexander Hamilton. While they had extensive land, it was not as the other families given to them to manage as a Manor or a Patroon. The total land holdings of these families before the Revolution in New York along the Hudson was well over two million acres. Not bad but not to last. Trade and trading were very important in both pre revolutionary and post revolutionary New Amsterdam/New York. The story of two relatives that were involved with foreign trade and went thru large losses with the Revolution were Peter Jay and David Clarkson. Augustus Jay was the first Jay to come to the New World. He was a young man on one of his father’s trade ships and returning to LaRochelle found that his family had been forced to flee to England as a result of their Protestant beliefs and the revocation of the Edict of Nantes that gave them protection to worship. He was smuggled aboard a ship sailing for Charleston and made his way up the coast ending up in New Amsterdam. He met and married Anna Maria Bayard and his success as a trader resulted. Her grandmother was also Anna, the sister of Peter Stuyvesant. This was a very successful trading family! It was their son Peter Jay, who married Marie Van Courtlandt, who continued as a merchant, and retired from New York in 1745, to move to the property he had purchased in Rye New York. This has recently been protected and restored as the Jay Heritage Center. It was here that their son John Jay would be born and brought up. During the Revolution their world would be turned upside down. Rye became “no man’s land”. They were outside of British control, but lived with terrible dangers of being attacked by the British or undone by the Cowboys and scalpers that ran without control in the area. They had to leave the homestead in Rye and were moved initially to Fishkill which was safer and then to Poughkeepsie after they were robbed in Fishkill. They never return to their Rye farm and home. Marie died in Fishkill and Peter died in Poughkeepsie. Their children did return and continue living in Rye. Peter Augustus Jay, John Jays oldest son inherited the property in early 1800 and tore down the original house and built the Greek revival home that is there today. The first David Clarkson (1698-1751) was the son of Matthew Clarkson, the first immigrant to the New World from England. He became a successful merchant in New York with several vessels and a big trade. His son, also David Clarkson (1726-1782) continued this. He was a very successful merchant with considerable trade with other countries. He also became a supporter of the revolution. During the war his home in Brooklyn was vandalized by the British and his home in New York burned to the ground. He escaped to his wife’s home in New Jersey. At the end of the war he had lost his trade and most of his income. 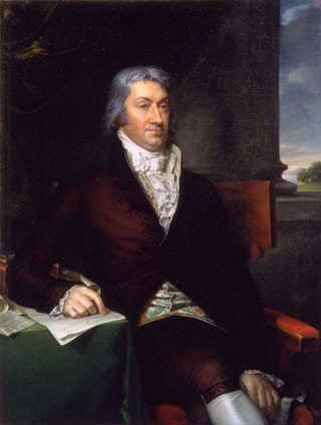 His son Matthew Clarkson (1758-1825) had a distinguished record during the Revolution and after the war became director of the Bank of New York. During this time he made good investments and land purchase. It was his daughter, Mary Rutherfurd, who married Peter Augustus Jay. The change from a new land under the control of England and its King or Holland and the growing realization that independence from these controls was necessary. The development of a Democratic system was a HUGE issue that sparked debates and actions that we are still living with. Again the one relative very much involved in this transition was John Jay. His early friend Robert Livingston was a different story. Jay was born the same year his father moved the family to Rye NY. He was educated, went to Kings College Law school, and became involved in the revolutionary cause. Part of this is that he courted and married Sarah, a daughter of William Livingston, the Governor of New Jersey, who strongly supported the separation with England. He was a young man at the time. He spent almost the entire Revolution mostly with his wife either in Spain or France. At the end of the war he was the person who negotiated the peace of Paris with the King of England. On return to this country he and his wife and family built a house on Broadway which became there home. He was really the first president of the United States but under the original constitution which had very weak powers for this position. He became very involved with developing a new Constitution and with Washington, Hamilton, Madison, Adams and others became a leader of the Federalist Party. Getting New York to ratify the new Constitution was a major effort for him and he was influential in the meeting at Poughkeepsie that by 3 or 4 votes ratified it. He then served as Governor of New York and moved from New York City to Albany. 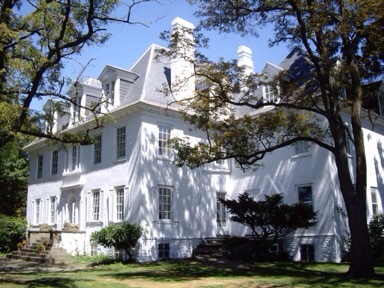 He retired when his term ended to his new house in Bedford that was built on Van Cortlandt land. He was also active after the Revolution with spies! Under the Articles of Confederation a committee for detecting and defeating conspiracies was created. This became a Commission. It was made up,of a series of groups established in New York to collect intelligence, apprehend British spies and couriers and examine British sympathizers. Jay became the head of this. This was a secret service with a company of militia under its control that heard over 500 cases involving disloyalty and subversion. It had the power to grant bail or parole, to imprison or deport, to arrest, to convict. Jay was the first chief of counterintelligence. One of his great friends when in Law School was Robert Livingston, a cousin. The second son of Philip Livingston and Catharina Van Brugh, also Robert,(1688-1775) was known as Robert of Clermont. At the time of his father’s death, Robert was given 13,000 acres in the Southwest corner which became named Clermont. This Robert married Margaret Howarden. They had one son Judge Robert who married Marie Beekman. Their grandson Robert R. (1746-1813) lived during the Revolutionary period. He was a lawyer and a great friend early in his life with John Jay, who then became an enemy!! A problem Robert had was with this heritage. It was being a Livingston, educated and a large property owner. He had terrible trouble with the democratic principle of allowing the vote to all citizens. He was a real SNOB! He felt that his birth right gave him privilege for political appointments. He yearned for political success which always turned to disasters for him. He seemed to always be the wrong man at the right time. As a young lawyer in 1776, Robert had been appointed one of a committee of five to write the Declaration of Independence. He apparently contributed not a word to this document and was not present when it was signed. When after peace, George Washington was inaugurated as President, Robert delivered the oath of office. He then felt that Washington was obligated to give him a cabinet position. His first choice was Chief Justice. Washington by letter turned him down, and of course the position went to his rival, John Jay. Ugh! During the effort to get the new constitution ratified in 1780 Jay joined with Washington, Madison, Hamilton and others as Federalists, Robert became an anti federalist in opposition. He also ran against Jay for Governor of New York and was badly beaten. He became a Jeffersonian Democrat. In 1798 he was appointed by President Jefferson to go to France and try to negotiate the sale of New Orleans to the United States. After three years of difficult negotiation James Munro was sent to Paris to try and get resolution. After Munro’s arrival Napoleon apparently summoned them and offered what became the Louisiana Purchase. Then Robert tried to change the dates so he would get all the credit! He ended living in Clermont in retirement on his farm. During the revolution the British made one foray into Clermont and burned his house to the ground for his revolutionary principles. He rebuilt the house. These families, except for the Phillips group, all became supportive of the break with Great Britain. Younger members of the families were active in the war in different ways. John Jay was sent first to Spain and then to Paris as a diplomate during the war. He was the person that drafted the peace agreement with England that ended the war. Others were active in the war. Matthew Clarkson was a young man of 17 when the war started. He volunteered as an aide to General Benedict Arnold, before Arnold turned to join the British. He was involved with the battle of Fort Ticonderoga, battles on Lake Champlain, and the battle at Saratoga. He became a major during the Saratoga campaign and was present at the surrender of General Burgoyne. He was appointed to the staff of General Benjamin Lincoln and served at the battle of Savannah, the defense of Charleston and the final surrender of Cornwallis at Charlestown. After the war he was commissioned Brigadier General of the militia of Kings and Queens counties and then in 1798 Major General of the Southern District of New York. After the war he married Mary Rutherford and their one child Mary Rutherford Clarkson married the oldest son of John Jay, Peter Augustus. 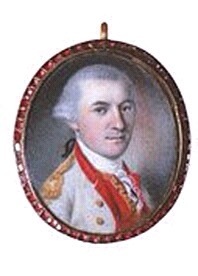 Major Matthew Clarkson commenced his military Services as a Volunteer early in the present War. In the Year 1777 he received a Majority in the Army of the United States, and was present at the Surrender of Lieut. General Burgoyne at Saratoga, having been active in all the principal antecedent Engagements, which produced that Event—In the Year 1779 was appointed Aide de Camp to Major General Lincoln (now Secretary at War) then commanding Officer in the Southern Department, & in that Character served at the Siege of Savannah. In 1780 he acted as Major of a Corps of Light Infantry during the Siege of Charles-Town. In 1782 He returned to his former Situation as Aide de Camp to Major General Lincoln, and was present at the Reduction of the British Posts of York and Gloucester under the Command of Lieut. General Earl Cornwallis. Soon after this, when Major General Lincoln became Secretary at War, he was appointed his Assistant. In all which Stations, from my own Knowledge and the Reports of the General Officer under whose immediate Orders he has served, I am authorised to declare that He has acquitted himself with great Honour. Given under my Hand And Seal at the Head-Quarters of the American Army the twenty-fourth Day of June in the Year 1782. Several Van Rensselaer men were active during the Revolution. Robert Van Rensselaer was commissioned a Colonel of the Eighth Regiment, Albany County Milita in Oct 1775. He continued to serve and was named Brigadier General, Second Brigade in 1780. He served under his brother in law General Philip Schuyler during the Battle of Fort Ticonderoga. He commanded the militia that pursued and defeated Sir John Johnson when on his raid in the Mohawk Valley in 1780. Henry was the younger brother of Robert Livingston. He apparently had a violent temper and had anger at anyone of lesser breed. As soon as the Revolution started he formed his own troop and joined the battle. The first of these was the battle of Long Island which was a major loss of the Patriots. He was left on Long Island with a small group and was successful in harassing the English. He and his Company escaped across the sound. He served under a number of Generals and had problems following orders. 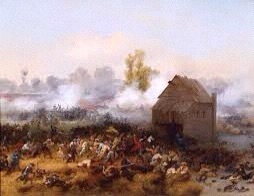 He was involved in a number of battles in and around the New York area including the battle of Saratoga. He served under General Philip Schuyler and spent the winter with his troops at Valley Forge. Here they almost froze and starved. He was the Black Sheep of the Livingston family and had as much trouble getting along with them as he did his commanding Generals. He was active in politics. During the Revolution he served as Lieutenant Colonel and involved in the seige of Yorktown. During this he was cited for gallant conduct and mustered out of the service as a Brigadier General. After the war he continued to serve politically and was one of the persons present with John Jay to ratify for New York the new Constitution. The Schuyler family were very supportive of the war to separate the State from English control. Philip Schuyler took an active lead in this. He was a very large land owner in the Albany area. He was made a Major General and took command of the area surrounding Albany. This became an active battle front as the English made their way down Lake Champlain to Saratoga. He was not well and forced to give up his command quite early. General Horatio Gates was in command at the time of the battle of Saratoga. Several relatives served under him including Matthew Clarkson, Robert Van Rensselaer, and Henry Livingston. The Revolution came to an end. The political definition of the new country slowly emerged. The English left New York. A new constitution that gave more central power but maintained the role of the States emerged. This meant a stronger central government with a presidential branch, a legislative branch, and a judicial branch. A bill of rights was passed. The scars of the war were diminished. Trade resumed. And we were free but still had a lot of problems to contend with. This entry was posted in Du Bois history on February 9, 2017 by jsdubois28.